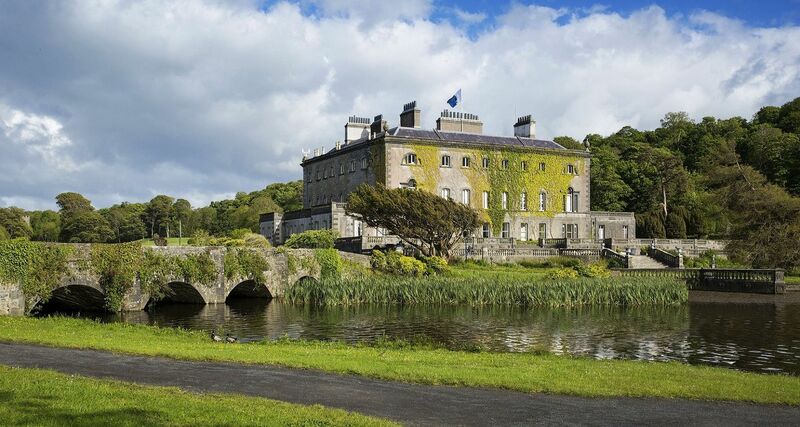 Westport House is one of the most famous attractions in Westport town and a must see along the Wild Atlantic Way. Westport Woods Hotel and Spa is built in part of the woodlands of the original estate. The house was built by the Browne family in the 18th century, near the site of an O'Malley castle. The architects were Richard Cassels, who built (1730) the east section of the house facing the town, and later James Wyatt, who built the other three façades to form a quadrangle. Later, the quadrangle was filled in with a grand staircase. North and south wings were added to the designs of Benjamin Wyatt. The south wing, which contained a library, was burned soon after it was built due to a defect in the heating system. It was subsequently rebuilt. Colonel John Browne (1638–1711), who had the original Westport House built, married The Hon. Maud Bourke, daughter of The 3rd Viscount Mayo and the great-great-granddaughter of Gráinne Ní Mháille (Gráinne O'Malley). He was a Roman Catholic who fought on the Jacobite side in the War of the Two Kings. His descendants, however, converted to the established Church of Ireland, and prospered. After the death of The 11th Marquess of Sligo in July 2014, the house passed to his five daughters, in accordance with private legislation passed by the Seanad in 1993. Westport House also has a Pirate Adventure Park with a Pirate Ship thrill ride, Pirates' Plunge flume ride, mini Railway, white swan pedal boats, cannonball run slippery slide, Pirate's Den indoor soft play area, dungeons, Pirate's Playground, pitch and putt, fishing, Gracy's Bar and Cafe and a large Caravan and Camping Park set in secluded woodland. It is the perfect day trip for you on your family break. Book your stay at our family friendly hotel at Westport Woods Hotel & Spa and then take the family on a day out at Westport House during your stay.